Every Indian (and possibly Italian) newspaper and news channel is abuzz with the sticky diplomatic mess that India and Italy find themselves in. So what went wrong? It started in February 2012, when two Indian fishermen were gunned down off the coast of southwestern Indian state of Kerala. Two Italian marines on board of an oil tanker, MV Enrica Lexie were accused of killing the Indian fishermen. In their defense, the marines stated that they had mistaken the fishermen for pirates. For the past year, the two marines have been in-and-out of courtrooms and remanded to the custody of the government. They were granted permission in February 2013 by the Indian Supreme Court to return to their country to participate in the country’s general elections for a period of four weeks. However, the Italian government on 11th March 2013 announced that the marines would not be returning to India for their trial. To complicate matters, the Supreme Court (SC) then ordered the Italian Ambassador Daniele Mancini not to leave the country. And bam! What we have is a full-blown diplomatic row (of course, it had started much before the latest intervention of the SC). I have closely followed the development of this case for months (partly because it involves my home state of Kerala). I must confess here, I had gotten used to the pacifist stand of the Indian government on most issues but this case proved to be different. Now, I don’t know whether to credit this sudden assertion to the electoral advantage it could provide for the UPA in 2014 or the fact that it deflects the attention from the Finmeccanica VIP helicopter bribery scandal or that this could be a chance for Mrs. Sonia Gandhi to prove her allegiance as some critics have challenged. Whatever the case, India has taken a stand. I have outlined, in the following paragraphs, a general sketch of my understanding and opinion on the 2012 shooting and ongoing diplomatic strain and why I believe the Indian government’s stand is correct to a large extent. Italy believes there are three major accounts of discrepancies, that is, in terms of the location of the incident, the legal jurisdiction over the case and diplomatic responsibilities of India. Firstly, in terms of location of the shooting, undisclosed Italian government sources revealed to the Italian daily Corriere della Sera that the ship was positioned thirty-three miles off the southwest coast of India when the incident occurred and therefore, it lies outside the Indian contiguous zone. Coming to the issue of legal jurisdiction, Italy has cited the United Nations Convention on the Law of the Sea (UNCLOS) and the Suppression of Unlawful Acts (SUA). Arts. 6(1)(1) and 6(1)(3) of the SUA are used to justify their claim jurisdiction over the case. And the last bone of contention between the two countries is the diplomatic responsibilities of host State, India. At the heart of this contention lies the Vienna Convention on Diplomatic Relations of 1961. Under the Vienna Convention, the Italian Ambassador enjoys diplomatic immunity particularly under Articles 29-31. Article 29 states that the “person of a diplomatic agent shall be inviolable [and] he shall not be liable to any form of arrest or detention”. The diplomatic agent also enjoys “immunity from the criminal jurisdiction of the receiving State” under Article 31. Though there are a number of valid arguments presented by the Italians, there are also a number of reasons why I feel Italy’s stand is incorrect. Firstly, the Indian government reports that the incident happened within India’s Contiguous Zone which accords India the right to “prevent infringement of its customs, fiscal, immigration or sanitary regulations within its territory or territorial sea” and to “punish infringement” of the same under the UNCLOS. As stated earlier, Italy claims that the incident occurred outside the contiguous zone (but within India’s Exclusive Economic Zone) and Part V of the UNCLOS extends economic jurisdiction of the coastal State. True, the UNCLOS does not mention legal jurisdiction over the area, still one cannot deny that the incident occurred within a zone that only the Indian State has exclusive economic right over. Secondly, Italy has argued that since its marines were onboard of the Enrica Lexie and when invoking the principle of exclusive jurisdiction of the flag State, Italy has claim jurisdiction. This concept of exclusive jurisdiction of the flag State comes from Art 92 (1) of the UNCLOS which declares the nationality and jurisdiction of the ship with the State’s flag. Thus, the UNCLOS confers jurisdiction to Italy alone. However, both India and Italy have signed and ratified the SUA Convention in 1988 that criminalizes certain acts as enumerated in Art 3 of the convention. This gives India claim jurisdiction under Art 6(1)(1) and Art 6(1)(3). If the incident had occurred outside the Indian contiguous zone, as Italy claims, it would be governed by the Lotus Case. Without going into too much detail, the Permanent Court of International Justice ruled that the state most affected by the incident had jurisdiction over the investigation (back then, it was Turkey). However, the Geneva Convention on the High Seas overwrote this principle and stated that it is subjected to the exclusive jurisdiction of the flag State except in exceptional cases; this was reflected in the UNCLOS couple of years later. But the SUA provides that exception as anticipated by the Geneva Convention. However, the way I see it (on account of the conflicting international laws) and purposely applying the Lotus principle here, the victims were Indian nationals on an Indian ship and thus, this affects the Indian state and therefore, the marines should be tried in an Indian court but under international laws. But essentially whichever State reaches the perpetrators first have practical jurisdiction and the principle that operates here is that of aut dedere aut judicare (that is, to “extradite or prosecute”). And in this case, it was India who claimed this practical jurisdiction. Thirdly, experts have claimed that since these marines are elements of the Italian State, they enjoy sovereign immunity. They are Vessel Protection Detachment and not Private Armed Security Guards—that is, agents of the State. Another issue closely related is the fact that the marines had mistakenly fired at the fishermen, therefore they can lay claim to sovereign immunity. Had they fired at the fishermen intentionally with malicious or personal gain, this case of sovereign immunity would not be upheld. 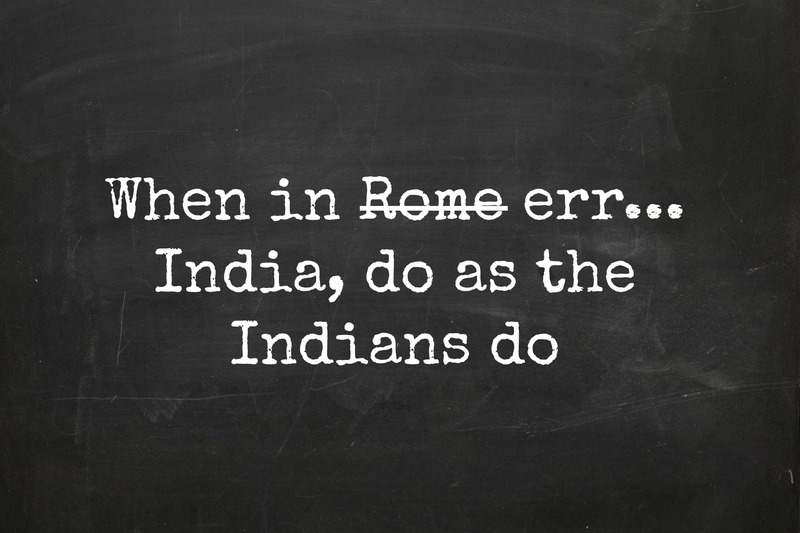 I agree with the Indian argument with regard to this. The claim of sovereign immunity is faulty in the sense that the ship in question was a commercial oil tanker (not a naval ship) and that it had employed these marines on a contract basis as Vessel Protection Detachments. This meant that the VPDs were not discharging sovereign duties at that moment in time and therefore cannot be considered as sovereign subjects. Fourthly, India and the Indian SC have, to their credit, played nice and by the book. 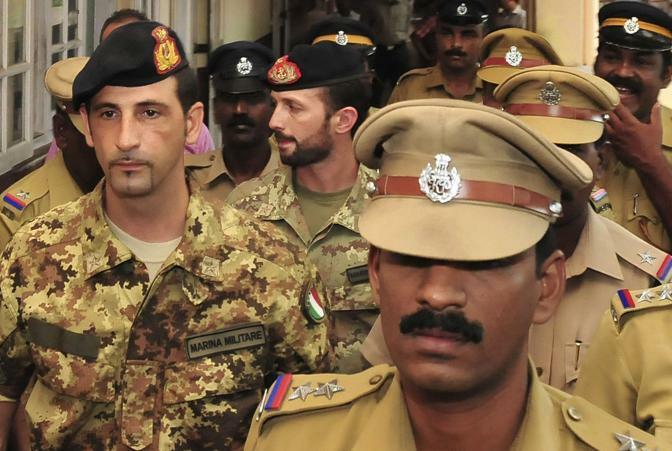 When Italy had asked for parole for the marines to go home for Christmas, the Kerala High Court (HC) obliged. When Italy asked for parole the second time, so that the marines could return to vote in their country’s general elections, the SC obliged. This time the Italian Ambassador himself vouched for the return of the marines for trial. Italy has, however, taken a three-sixty degree turn and stated that India acted in a breach of international law. Reports suggest that the marines are believed to have gone back to active service without as much a trial under the Italian law or the Italian Military law. With regard to the Vienna Convention of Diplomatic Relations, the Italian government is certainly right. The Vienna Convention accords the diplomatic agent in Arts 29 and 3—diplomatic immunity. But one should not forget that that the Italian Ambassador to India had filed a written affidavit before the SC taking responsibility for the return of the two marines to stand trial in India. The Italian government in essence retracted its promise and then stated that the marines would not return. The Italian Ambassador could be tried for the contempt of court, but he has been quick to claim diplomatic immunity. However, the most obvious choice before the Indian government would be to declare the envoy as persona non grata. This could also invite a retaliatory action on the Indian envoy in Italy. Regardless of what may happen, I strongly believe that this is a breach of trust and a contempt of court by the Italian government and the Italian Ambassador. Fifthly, one scholar’s reading of the incident also reveals that this could have also been a case of ethnic profiling. The timeline of events presented by the two States describe conflicting reports. However, it is true that the Italians had believed that the fishermen were pirates and therefore may have fired in self defense. But the fishermen were unarmed during the shooting. It is indeed strange that the marines did not register this fact while firing (about fifteen bullets were found in the fishermen’s boat)—so can this be interpreted as ethnic profiling? Possibly so. Another aspect that startles me is that the Italian ship did not report the incident of death or the supposedly pirate attack to local Indian authorities. It was only when the Maritime Rescue Coordination Centre picked up radio blips and narrowed down to four ships. It then sent out a call for pirate incidents, only then did the Enrica Lexie respond. And lastly, in all this talk of international law, let’s not forget the two innocent fishermen who lost their lives. They were possibly the only breadwinners of their families and one can only imagine the trauma they have been through the past year. I refuse to see this issue merely as a legal or jurisdictional issue but a humanitarian one as well. It clearly involves a violation of the basic human rights of the victims. Their right to “life, liberty and security” as the UDHR itself embodies was without doubt violated and this fact should not be ignored in the diplomatic-jurisdictional tussle between the two governments. To conclude, the issue of justice is central to this case—both for the victims and for the marines. And only time will tell the extent and degree to which the present stance of the Italian government would sour the relationship between the two countries. But personally, I feel that Indian government will need to take a firmer stand in this issue while ensuring that it does not violate international laws, norms and upholds justice for all parties involved. Chaurahha by chaurahha.wordpress.com is licensed under a Creative Commons Attribution-NonCommercial-NoDerivs 3.0 Unported License. Based on a work at chaurahha.wordpress.com.